Juicing is a healthy way of adding more beneficial vitamins and minerals to your diet. The nutrients found in one glass of juice are equivalent to the amount you get from eating several servings of fruit or vegetables. Moreover, juicing is more versatile as you can have your juice on the go, while you are driving, studying, watching TV or working. But to get the best juice, you need to find the best masticating juicer. And in this Omega J8006 Nutrition center juicer review, we will provide you with significant information about the best-selling juicer on Amazon. This Omega juicer is a sturdy slow juicer that is also capable of doing other important cooking jobs. Still slow juicing and premium extraction remains to be its strongest point. It is very strong, yet quiet and extracts all the juice from your fruit and veggies, leaving you with nothing but healthy nutrients while it ejects the pulp away. It is quiet easy to assemble and gives an excellent yield of juice that is full of enzymes, vitamins, and minerals. But before this amazing juicer became number one, it had another sibling that was also so popular, the Omega J8005. 1 Why is the Omega J8006 so much better than the Omega J8005? 3.1 What we particularly like about this juicer? 3.2 What we don’t like about the Omega J8006 Nutrition Center Juicer? Why is the Omega J8006 so much better than the Omega J8005? This amazing Omega J8006 is an advanced and more upgraded version of the previous Omega J8005. It is still an excellent slow juicer that is great for leafy greens and soft fruit. It comes with a strong motor that extracts amazing juice that is full of healthy nutrients. 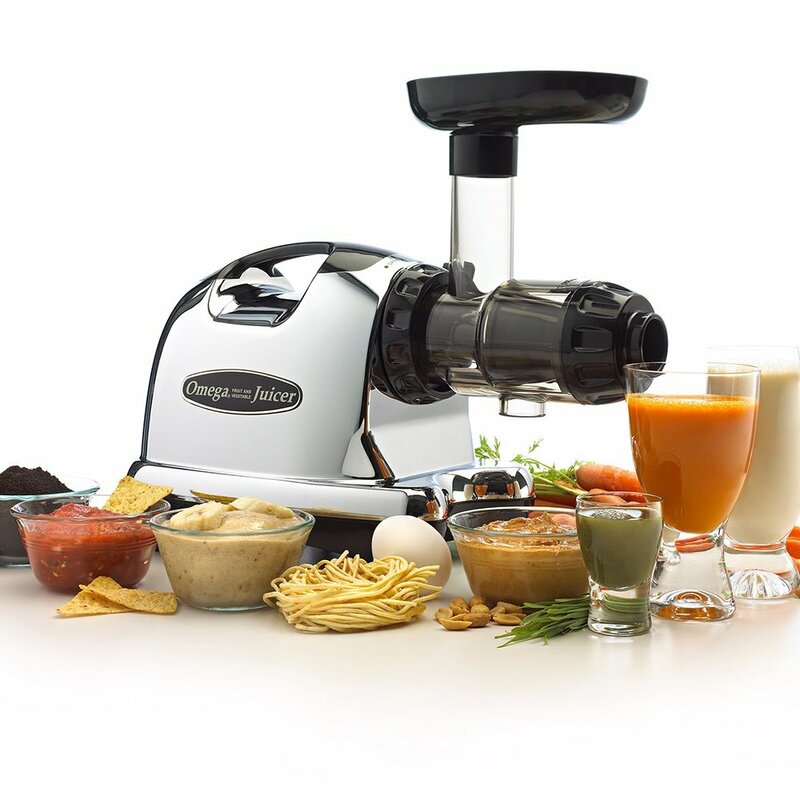 But the Omega J8006 Nutrition Center Juicer Review shows that it has an upgraded auger that is 8 times harder than the one in the previous model. It is a multi-tasking food processor that is capable of preparing nut milk, soy milk, and baby food. You can never find such a versatile and heavy duty juicer. You can also use it to grind, chop and mince different food items and spices for an unmatched cooking experience. The Omega J8006 takes some counter space, but you will actually be using it for a lot of purposes and you will be able to use it instead of many other kitchen appliances, allowing you to save money and time. Slow juicing: The Omega J8006 nutrition center juicer has a dual juicing system that allows it to extract the best juice from your fruit and veggies. First, the juicer squeezes your fruit and vegetables to extract the juice, and then further squashes them to make sure that your juice is nothing but the best nutrients with no foam while the dry pulp is ejected away. High-quality juice: Slow juicing is the best way to extract juice from fruit and vegetables. It prevents heat build-up. This heat changes the chemical composition of the enzymes and nutrients found in the juice. 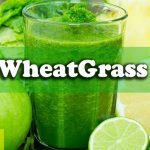 Slow juicing is also the best way to extract juice from leafy greens and fine plants like wheatgrass, maintaining the beneficial enzymes and minerals. Keep your juice healthy for a longer time: With no foam and no heat build-up. Your juice will stay healthy for a longer time. Imagine the amount of time you will save since you can keep your juice fresh and healthy for about 72 hours. You don’t have to turn the machine on every time you need a glass of juice. Prepare the whole amount in the morning and enjoy your healthy juice all day long. Strong auger: This means that you can get juice from any fruit or vegetable no matter how hard or how difficult they are to juice. Dual juicing mechanism: This resembles the chewing motion of the mouth rather than shredding fruit and vegetables. The dual mechanism is especially beneficial to extract juice from soft fruits and leafy greens. This Omega J8006 nutrition center juicer review shows that this masticating cold press juicer is the bestseller on the Amazon website for a good reason. It is by far one of the best slow juicers available for purchase. It is a strong durable slow juicer that is perfect for extracting juice from different fruit and vegetables no matter how hard they are to juice. Leafy greens tend to shred when they are juiced using high-speed juicers, leading to thick juice that is full of pulp and residual. But this wonderful juicer crushes fruit and vegetables to extract the high-quality juice then further presses them for a great yield of highly nutritious juice that is full of enzymes, vitamins, and minerals. Slow juicing doesn’t mean that it takes a lot of time to prepare juice using this high-quality juicer. In fact, it prepares a huge amount of juice in very little time. You can prepare one glass of juice in about 40 seconds. But masticating juicing is the best technique for the extraction of healthy juice even from the finest veggies and fruit. Slow juicing prevents heat build-up which oxidizes the nutrients and enzymes found in your juice, depriving you from a lot of beneficial nutrients. First, the fruit or vegetables are crushed then they are further pressed to extract all the juicy nutrients while leaving the very dry pulp away. Masticating juicing prevents the formation of foam, leaving you with nothing but healthy juice. Codenaam0aei made an honest video review of Omega Nutrition Center Juicer. You can watch that video from below and I hope it might help you to understand the features of Omega J8006 Nutrition Center Juicer. It is a highly versatile kitchen appliance that can help you prepare delicious nut milk, soy milk, nut butter, baby food, marinades and different sauces easily. You can even use it to chop garlic and to grind coffee and various spices. Testing this amazing juicer we came to realize that it is a very economical kitchen appliance. It does the job of other different appliances, utilizing the same kitchen space and energy. Using the same amount of fruit or vegetables, this juicer provides a greater amount of juice than what you can get from a centrifugal juicer or any other masticating juicer. The auger is very hard and is able to crush any food item to prepare the best juice. This juicer has a high motor that gives a juicing force of about 1/3 horsepower which is strong enough to juice, grind and mince any product but it is still very silent. This juicer is made from a very durable material that will last for years. Its motor is durable and will enable it to provide a significant amount of healthy juice without heating up or malfunctioning. Our Omega J8006 Nutrition center juicer review shows that this juicer is a reliable, durable juicer that will last for a long time. If you are looking for a multi-functioning high-quality juicer, then this is the right juicer for you. What we particularly like about this juicer? Robust extraction for the maximum amount of juice with very dry pulp. Dual juicing and cold pressing for maximum extraction. A high motor for extracting juice from just about anything. An excellent yield of tasty, healthy juice that won’t oxidize and will stay fresh for 72 hours. A versatile juicer that can grind, chop and mince. What we don’t like about the Omega J8006 Nutrition Center Juicer? If you own a food processor, then the extra features in this juicer might not be very useful and you might be better off buying a less complicated model. Because it is more than just a masticating juicer, this machine has a lot of parts so it might be harder to clean or store. 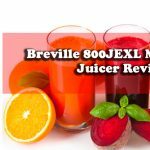 Home and kitchen have made a great comparison video between Omega J8006 Nutrition Center Juicer and Breville 800JEXL Juice Fountain Elite. She Reviewed the two product very honestly and it’s worth of share among with you. Just watch the video from below and reveal the winner amongst this two popular Juicer. You can read the full review of Breville 800JEXL Juicer from here. In our Omega J8006 nutrition center juicer review, we highlighted the main features of this amazing juicer. We highly recommend this outstanding juicer and we are now confident that it is one of the best masticating juicers available for purchase. It is a very durable kitchen appliance that is perfect for extracting juice from many fruit and vegetables. It is a slow juicer and this enables it to produce great juice even from fine or soft fruit and vegetables. Instead of shredding and cutting, the fruit or vegetables are crushed and then pressed for maximum extraction while the very dry pulp is ejected away. You end up with a pure glass of juice with no foaming or unnecessary residual. We recommend this juicer because it is much more than just a slow masticating juicer. It can be used to grind and mince herbs and spices for the ultimate cooking experience. It is an addition to any kitchen and deserves its place as the number one bestseller on the Amazon website.